Google has done it, it has sneaked in a update, which was undetected by most SEO practitioners. Its a update that focuses on better handling “conversational search queries” and improving the quality of results returned for them. Lets understand the term “conversational search queries”. Google says more and more people are speaking into their mobiles and laptops, and using voice search. When using voice search most people tend to speak out their queries in conversational manner. 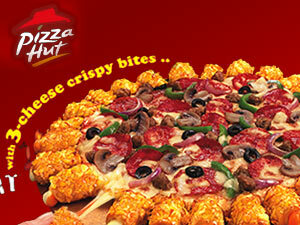 Lets say I want to know where is the nearest Pizza Hut outlet located. If I were to ask this question to a friend during a conversation I would ask something like this “ do you know where is the nearest Pizza Hut outlet located?”. As opposed to this if I were to type my query into Google I was more likely to type “Pizza hut outlets” or some such similar term to save on having to type long queries. Also I know longer query would bring in some garbled results so I would type specific words to narrow down my search. As voice search is increasing more and more people are searching Google using “Conversational Search Queries”; so Google has reworked its entire Algorithm to show more relevant results to its users when they input such queries. Before Hummingbird: Google focuses on selected terms and in a disassociated way – “where is the nearest Pizza hut outlet located?” the search results from this kind of query were a mixed lot and user experience was dampened. After Hummingbird: Google focuses entire phrase “where is the nearest Pizza hut outlet located?”, it tries to read the intent behind your query. It acts as a intelligent search engine and tries to bring in relevant search results by deciphering your search query in a comprehensive manner. Why is Hummingbird so special? Humminbird update has reworked the entire Google Algorithm, its a rewrite that comes after 12 years. And considering that Google itself is 15 years old, this update is like a milestone in Google’s history. 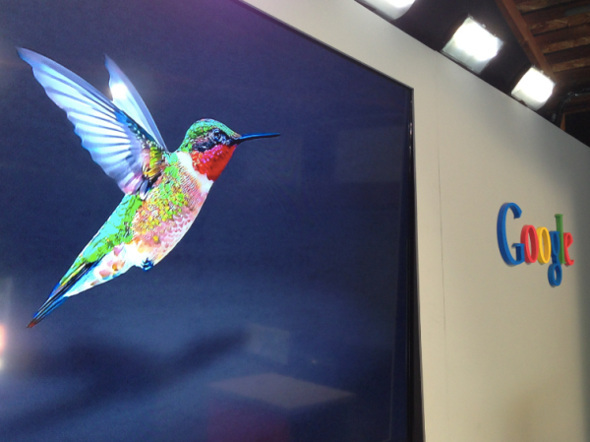 What are new SEO Guidelines after Hummingbird? 1 Learn all about semantic search and the knowledge graph concept and mould your SEO efforts to keep in line with these new and evolving concepts. 2 Forget keywords. Become human. Start thinking as your target audience does,explore the information your audience is seeking, the questions they ask and answers they want. Position yourself as provider of this information. 3 Identify intent, needs and problems. Provide solutions and answers. Look at queries and what they really need. Give them what the people behind the queries want. Hummingbird has already been operational for a month, so if your website has not witnessed any ranking drop, or traffic change in the previous month, your SEO is working fine. 2. Learn to decipher your audience’s intent behind the words used by them. Forget keyword. Focus on intent. Design your website and content to cater to customer intent, need and problems. 3. Use social media like crazy, interact with your customer on daily basis if not hourly. Learn their language, what they seek and what will please them. If your customer refers to your product by a slang term, you need to learn that too. Optimize your content for the same as well. 4. Make excellence your obsession when designing content. Your content should be designed not for keywords or keyphrases. It needs to be designed for inspiring trust in your target audience. Make it aesthetically as well as intellectually appealing and stimulating. Such content generates social signals itself by being liked shared and spread around. And hummingbird update makes social signals evemore powerful in terms of impact on the website rankings. No it is evolving to become more social more intelligent just like humans evolved from our ancestors. If a SEO practitioner is willing to evolve with Google then they can be in business forever. Google has changed the game and the ball is now in the customer’s court. If you want to win the game, you gotta focus on winning over your customer like there is no tomorrow.